Opening hours: Most shops are open Monday to Sunday from 8 am to 7 pm. Markets open from 6 am to 5 pm. Stores and markets are only closed on public holidays. Immerse yourself in beautifully manicured gardens, delightful royal abodes, and in the serene calm of this classic Khmer palace. The throne, used for coronation and important ceremonies, sits in a finely decorated room. 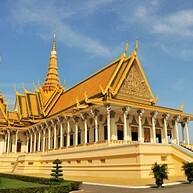 At its side stands a small delightful ornate maisonette offered by Napoleon III to King Norodom. Walk across to the Silver Pagoda and observe the golden Buddha, encrusted with 9,584 diamonds, the largest one weighing 25 carats. Please remember to dress a bit formally when visiting the Silver Pagoda - wear long trousers or a long skirt. 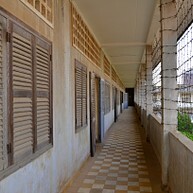 A former school known as S-21, this building became the hub of the Khmer Rouge’s interrogation and torture of more than 17,000 ‘enemies’ of the state. School rooms were turned into cells and today victims’ portraits align the corridors of this daunting building. This is an emotional visit, at a place to pay respect to the victims of Cambodia’s tragedy. 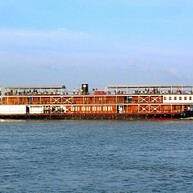 View the city whilst cruising on the Mekong or Tonle Sap. 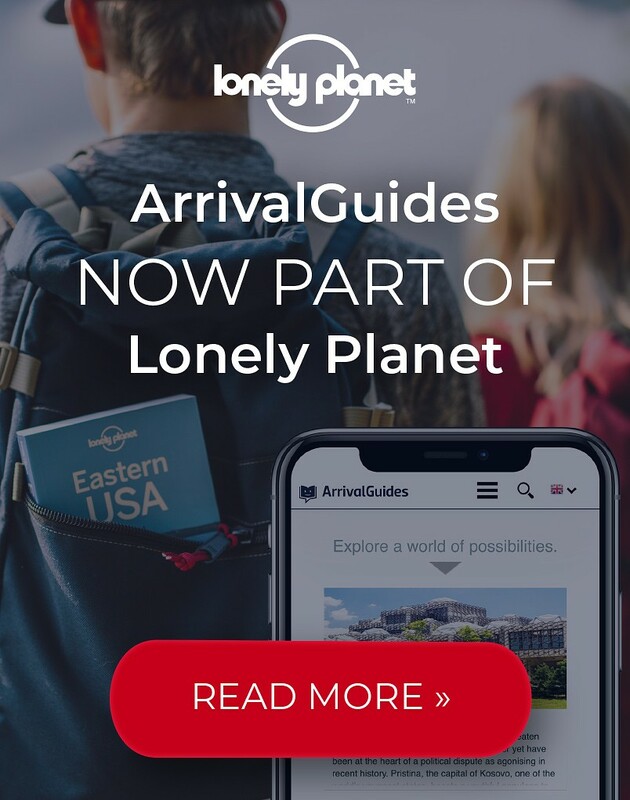 You can choose a one-day trip, or a longer excursion including accommodation. Boats can be hired on the riverside banks, and size varies according to the number of passengers. There is also an array of tour operators offering different kind of tours. This is a leading art institution for young Cambodians. Its main vision is to be a forum for the research, preservation and promotion of Cambodian arts and culture. In contrast to traditional Angkor Wat paintings, Reyum students are taught to approach art in a thoughtful way which incorporates Khmer culture. Down the street from Reyum there are numerous art shops. 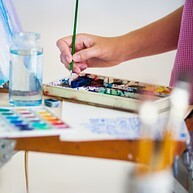 This is the city’s artistic hub and an interesting place to explore and meet the local artists in their workshops. Wat Phnom is said to be the first pagoda in town, dating back to 1373. It is located on a small hill and locals come here to pray for good luck. When visiting Wat Phnom, be aware that due to the site’s popularity there will be a number of beggars, street urchins and other vendors trying to gain your attention. Some may try to sell birds in cages and you pay to set the bird free as locals claim the birds are trained to return to their cage afterwards. This red-stoned traditional royal Khmer building offers a glimpse of the Khmer Empire’s rich heritage. With artefacts dating back to pre-Angkorian times, the museum’s pieces are some of the only remaining historical items that survived the Khmer Rouge. Relax in the quiet garden in the museum’s central courtyard. This field reminds its visitors of a time with brutal executions and torture. More than 17,000 people were killed here during the Khmer Rouge regime, and today there are mass graves and a memorial stupa (a Buddhist reliquary) with thousands of human bones. An audio tour tells the heart-braking history. 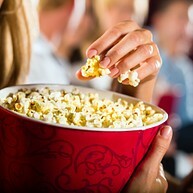 For a different film experience, visit one or all of the Flicks Community Movie Houses. This volunteer-run cinema has three different outlets, but all of them are unique. Instead of chairs there are sofas and pillows on the floor and there is also an outdoor cinema during dry-season. Book your ticket online: you are allowed to stay and watch as many films as you wish. This is the biggest zoo in Cambodia, and here you can see many different animals from the local fauna. The Wildlife Rescue Center saves animals that have been trapped or injured, to set them free again after rehabilitation. 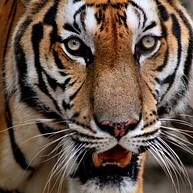 If you book a tour you will get the chance to see the staff's heroic work and to meet some of the animals. 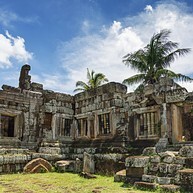 About one hour drive from the city, you can visit the ruins from the Phnom Chisor Temple, a temple from the Angkorian era. From the hill where it is located you will have great views over the country side, but keep in mind that it can be very hot to climb all the way up during mid day. 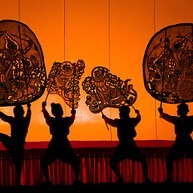 Shadow-puppet theatre is a tradition in this part of the world, and Sovanna Phum Art Association & Art Gallery hosts this kind of performances. After the 50-minute long show, the audience is welcomed to try and handle the puppets themselves. They also host classical dance and traditional drum shows. For all the Yogis and Yoginis out there, this is a must visit. At this beautiful and calm studio you can attend different kind of yoga classes or maybe one of their work shops, for example on raw food. You can either pre-book a class or go to one of the drop-in classes. 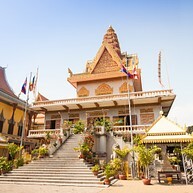 This temple is the headquarters of Cambodian Buddhism, and it's home to 350 moments. At the entrance five golden Buddhas welcomes the visitors. It was founded in 1443 and it is conveniently located close to Royal Palace and the river bank. Ice skating in Phnom Penh? Inside this house of fun, it is possible. 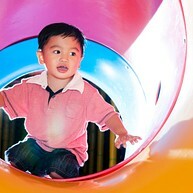 At Kids City Asia, children and parents can revel in the many different choices of indoor activities. Among other things, here you will find a playground, a climbing wall and a science gallery. This tall building is a symbol of Cambodia's freedom from France, gained in 1953. This Angkorian style tower is mostly used as a landmark now, but the parks surrounding it are popular for picnics.